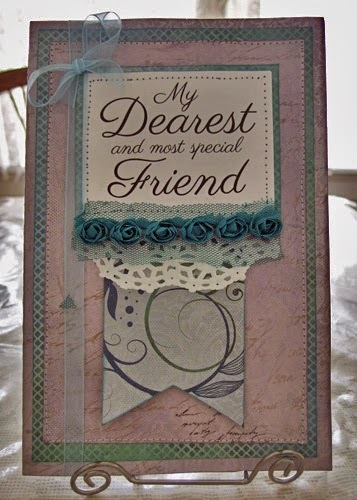 Hi everyone, Donna here with a card I made using Quick Quotes Sentiments 3x4 cards. 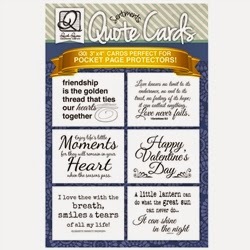 These are fabulous to have on hand when you want to have a really sweet quote or title handy, and there are 30 in pack so you are sure to find that special saying you want. 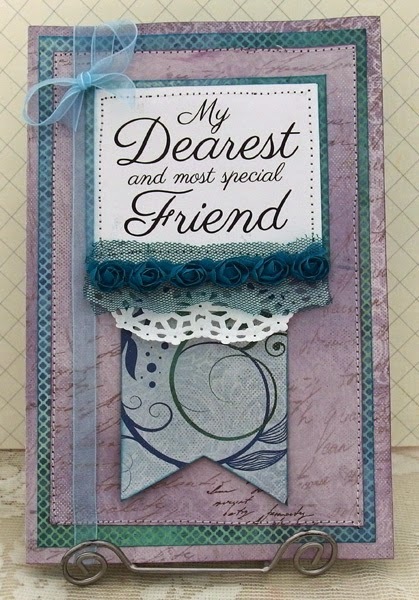 Today I made this friendship card using the Sentiments cards and Quick Quotes beautiful line called Serendipity. Here is an example of the Quick Quotes Sentiments, and not only can you use them on cards and layouts they fit perfectly into pocket pages if you are doing a Project Life album. Thanks for stopping by today and be sure to visit the store for all of Quick Quotes great products.